Karmen offers workshops, lectures and masterclasses for universities, conservatories and other musical institutions. 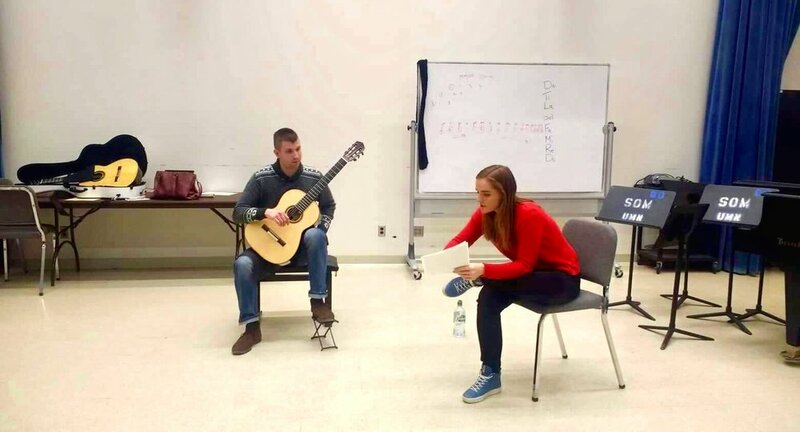 Among her recent engagements are a workshop and masterclass at the University of Minneapolis (Minnesota, US), lecture at the Conservatory of Music Ljubljana (Slovenia) and a masterclass at the “Focus Gitarre” Festival in Friedberg (Germany). women in classical guitar music. Karmen provides a comprehensive and well structured course based on the needs of the engaging institution in order to help and inspire their students as much possible. She offers workshops and lectures in English, German, Slovenian and Spanish.